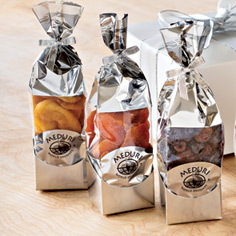 Succulent all-natural dried fruits to savor and compare. 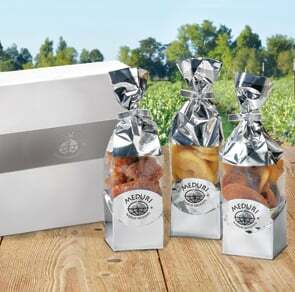 Enjoy for yourself, or give the Orchard's Best Three Sampler Set as elegantly gift-boxed. 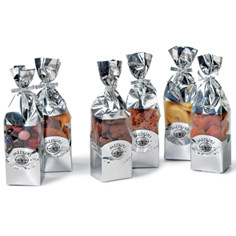 Each unsulphured dried fruit flavor is sealed in a gleaming mylar 6oz packet. The Orchard's Best Three-Sampler Set comes with: Delicious Double Red grapefruit slices from Mexico, Cinnamon Fuji Apple Wedges from the Pacific Northwest and our own Marco Polo Mix.